Find the top 25 attractions in Pennsylvania listed for you here, so that when you want to take a trip to somewhere amazing you don't have to wonder where to go. The top attractions in Pennsylvania come in all types so you're sure to find something on this list that will catch your eye. One of the Top Attractions in Pennsylvania for Kids! 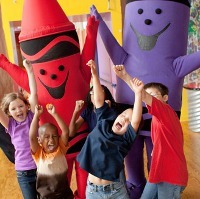 Kids will love visiting this fun factory and creative space where they can learn how crayons are made, learn the history of Crayola and create their own works of art. Exhibits such as Doodle in the Dark, Chalk Walk, Crayola Chronology and more allow children to interact with displays. Color on the walls in the Scribble Sea section! Themes and displays change regularly to make this interactive visitor center fun to visit again and again. Open Tuesday through Sunday; admission is $12 for kids and adults. The Sweetest Top Attractions in Pennsylvania! This fun theme park is located in "the sweetest place on earth," Hershey, Pennsylvania! More than 60 rides for people of all ages make this a fun stop for the family. The chocolate themed park has both wet and dry rides, so whether you are visiting in the heat of summer or the cool of spring, you'll find plenty to do. Restaurants and eateries located throughout the park offer delicious dining options. If you want to extend your visit, stay at The Hotel Hershey, Hershey Lodge, or Hershey Highmeadow Campground and make a weekend of it! If you or your kid was once a fan of the Sesame Street television program, then this is the right place for you. On a family trip to this state, there is nothing better than combining entertainment and attractions in Pennsylvania. Under the slogan "Be a Kid or Be a Kid Again," this theme park, based on the popular television series, promises an unforgettable time for both parents and kids. 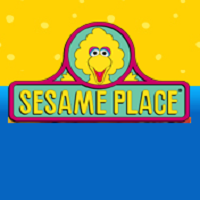 The park hours are changing daily, but Sesame Place is mostly open from 10 am to 9 pm during the summer. A single-day ticket is $59.99, or $47.99 for groups. This is without a doubt one of the top 24 attractions in PA! 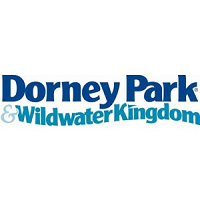 If you want to visit the biggest attractions in Pennsylvania, you can't miss the fabulous Dorney Park. Mixing adventure, excitement and fun, this place is a guaranteed delight for everyone and is one of Pennsylvania's top 25 attractions. May 3rd is the opening day for the 2013 season. The parks hours change from month to month. The working hours are mostly from 10 am to 8 pm in June and from 10 am to 10 pm in July and August. A regular all day admission is $49.99 and $29.99 for junior/senior tickets. There is, however, a $10 discount if you buy a ticket online. 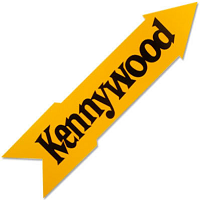 If you are looking for the top 25 attractions in Pennsylvania and you are interested in the best of the best, you definitely can't miss the Kennywood Park. 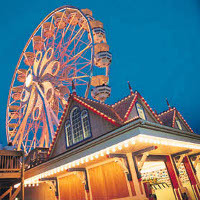 Listed as one of the Pennsylvania National Historic Landmarks, this amusement park has been operating since 1898. You certainly can't go wrong if you choose to visit it. With 7 roller coaster rides, 3 water rides and a total of 47 rides, you simply can't go home from Kennywood disappointed. General admission is $39.99 (over 46" tall to age 54), $26.99 (under 46") and $19.99 for seniors (above the age of 55). Kids of age 2 and under are admitted free. The park operates from May to October, with working hours varying from month to month. 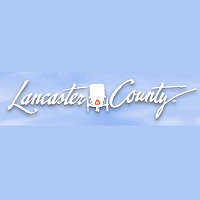 With a unique tradition, culture and language that can be described as European Dutch, spoken with a strong American accent, Lancaster Amish Country represents one of the top 25 attractions of Pennsylvania. These Amish people inhabit America's oldest Amish settlement, where thousands of people still live in the centuries-old and traditional "plain" lifestyle. If you want a peaceful, but at the same time interesting and adventurous vacation, don't hesitate to book your visit to Lancaster. You won't be able to experience anything like this in other parts of the state. During your visit, you will be able to visit Amish schools, see amazing crafts, attractions, ride Amish horses and many other things. 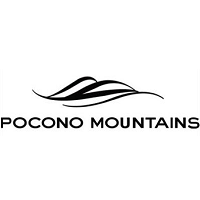 The breathtaking Pocono Mountains form the northeastern part of Pennsylvania. These picturesque mountains are divided into four counties and together form a 2,400 square mile territory of wilderness. There is something unique about them always - no matter which season you choose to visit them. They offer a huge variety of possibilities for tourists, such as outdoor adventures, luxurious resorts, fun and leisure for the whole family. The Poconos are a perfect tourist destination for all of those who want a peaceful, but at the same time exciting and adventurous vacation. Make sure you check it out as this is one of Pennsylvania's top 25 attractions. 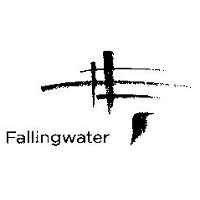 The legendary architect Frank Lloyd Wright is famous for his many architecture pieces, but Fallingwater is definitely one of his masterpieces. Not only is it one of the top 25 tourist attractions of Pennsylvania, but it has also been voted "Best All-Time Work of American Architecture" by the American Institute of Architects. The incredible usage of multiple staggered layers and sweeping horizontals is what turned this work of art into an architectural masterpiece. There are many different tours on offer and you can purchase a ticket online for each of them. Take a trip to this epic place and discover one of the most inspirational pieces of art of modern architecture. 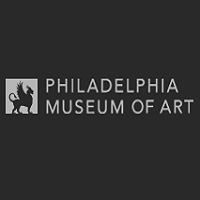 Being one of the largest museums in the United States, Philadelphia Museum of Art is not only one of the top 25 attractions in Pennsylvania, but also one of the biggest museums in the whole country. Visited by thousands of both domestic and foreign tourists every year, the museum hosts numerous acclaimed exhibitions, renowned collections and rich programs and events. Hosting the works of art of some of the biggest names in art history, this place is certainly worth visiting. Don't miss the opportunity to get in touch with art at its finest. 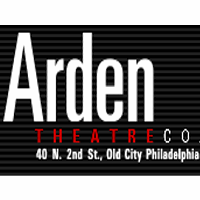 Arden Theatre Company is a professional and full-service regional theater. If you are a tourist and interested in some of the top 25 attractions in the PA region, you definitely can't miss this one. The Arden Theatre Company offers high quality educational and theatrical programs for everyone. There are two theaters in the company - Arcadia Stage with 175 seats and F. Otto Haas main stage theater with 360 seats. The main stage ticked prices are $36-$48 for adults, $15 for teens and $16-$20 for kids. There is a $2 discount for full-time students, seniors (62+), military personnel and educators. If you are planning a vacation near Pittsburgh, you will have the opportunity to visit one of the top 25 attractions of Pennsylvania. Make sure to arrive on time, because the 90 minute tour through these splendid gardens will offer you an unforgettable and irreplaceable experience. 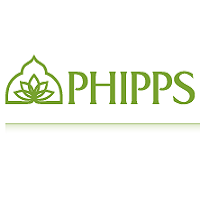 Phipps Conservatory and Botanical Gardens are an amazing complex of parks and gardens that are showing the real heart of the Pennsylvanian state. Phipps is open every day from 9:30 am to 5 pm, except Fridays, when it closes at 10 pm. Entrance tickets are sold for $15 for adults, $14 for seniors (above 62) and students with a valid ID card and $11 for children (2-18). Members and children under the age of 2 are admitted for free. While on vacation in or around Philadelphia, there are various tourist sites that you can visit. Some of the Philadelphia monuments are not only famous in the city, but also are considered to be in the top 25 attractions of Pennsylvania. 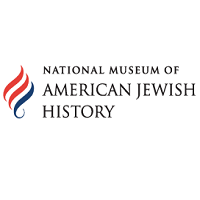 The National Museum of American Jewish History is one of those fabulous attractions. If you are interested in Jewish history and want to learn more about it, don't wait to visit this museum. Working hours are 10 am - 5 pm from Monday to Thursday and 10 am - 5:30 pm on Saturday and Sunday. Admission is $12 for adults, $11 for seniors (65 and up) and youth (12-21). Members and children under the age of 13 are admitted for free. There are just few attractions in Pennsylvania that can compare to this wonderful center. 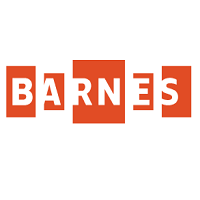 The Barnes Foundation represents an educational art and horticultural institution. Located in Merion, a suburb of Philadelphia, the center's amazing collection will leave you breathless. A total of over 2500 objects are on display today, with over 800 paintings, which are valued at $25 billion. The paintings, as well as other works of art, are created by some of the leading American and European artists. This place is a must see while on vacation in Pennsylvania, it is one of the top 25 attractions to visit. If you are into exciting and scary things, then you will definitely love this place. Eastern State Penitentiary is a former American prison in Philadelphia. It had been operating from 1829 until 1971 and today represents one of the top 25 most interesting and unique attractions in Pennsylvania. 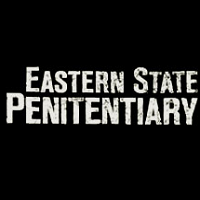 “The Voices of Eastern State" audio tour will return you to the past and offer you a full picture of what this place once was. Working hours are from 10 am to 5 pm every day, with the last entry at 4 pm. Prices are $14 for adults, $12 for seniors and $10 for students and kids. 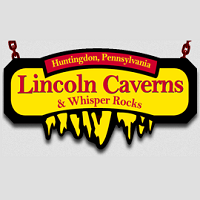 If you are into adventure and excitement, make sure to book a tour through Lincoln Caverns and Whisper Rocks, two splendid caverns in the city of Huntingdon. A great variety of speleothems (cave formations), including the marvelous sparkling stalactites, delicate crystals and massive flowstones are what makes this place one of the top 25 most desirable attractions in Pennsylvania. Special school and youth programs are also offered and kids can have an amazing time if they take part in this wonderful experience. Tickets are sold for $12.98 for adults (over 12 years), $12.48 (ages 4 to 12) and $11.98 for senior citizens (over 65). 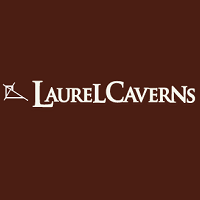 There are numerous natural attractions in Pennsylvania, but not so many unique and beautiful as Laurel Caverns. This cave system represents the largest cave system in the state of PA and one of its favorite and top 25tourist attractions. Besides being a huge attraction, it is also the largest natural bat hibernaculum in Pennsylvania. Because of its dedication to the preservation mission, it is closed during the first months of the bat hibernation season. The cave is open every day from April 20th to October 27th, even on some bigger holidays. The Visitor's Center hours are from 9 am to 5 pm. Call to get more information and book a tour that will leave you speechless. McDonald's restaurants are probably the most popular restaurants in the world. They are every child's favorite place and often a rescue for all of us who don't have much time during a day. 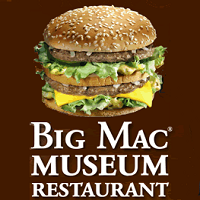 However, if you are on a vacation in Pennsylvania, you will have a chance to visit one of the top 25 most interesting and unique attractions in Pennsylvania - the Big Mac Museum Restaurant. The biggest attraction is probably the 14-foot-tall Big Mac, built to mark the place where the world's favorite monster burger was born. It is open from 4:30 am to midnight every day, except weekends (4:30 am - 1 am on Saturday and 5:30 am - 11 pm on Sunday). 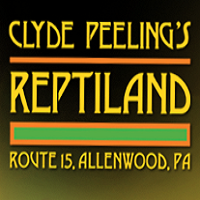 If you are interested in nature and animal species, you definitely have to visit the Clyde Peeling’s Reptiland when you go to Pennsylvania. This AZA accredited zoo, specialized in reptiles and amphibians, has been operating since 1964, showing and teaching people more about these less-loved members of the animal kingdom. You can enjoy a relaxing stroll through the zoo, exploring some of the most unique reptile species in the world. Admission rates are $14.00 for adults (above the age of 12), $12.00 for ages from 3 to 11 and children under the age of 3 are admitted free. It is open daily from 10 am to 5 pm (November through Mach) and on weekends during April, May, September and October. This is definitely one of PA's top 25 attractions to visit! Planning a family vacation but don't have a clue where you should go? 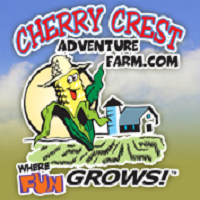 How about trying the memorable Cherry Crest Adventure Farm? Family vacations can be really exhausting, especially because parents and children are usually not interested in visiting the same places. Cherry Crest is, however, a place where family, fun and farming come together. Forget about crowded cities and experience the peace and uniqueness of the countryside life. This is really a special place where people all ages and interests can relax, have fun and learn. Check it out since it is one of Pennsylvania's top 25 attractions! See the breathtaking Lancaster County like you never had a chance to do before - in miniature! At first, it might seem like the place where kids gather to play, but it's much more than that. Choo Choo Barn represents a real work of art, which makes this place one of the most popular top 25 tourist attractions in Pennsylvania. 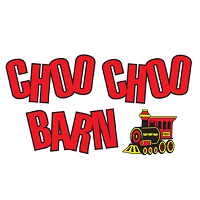 Choo Choo Barn is in fact a 1,700 square foot train display whose exhibits represent a unique work of art - showing the whole Lancaster County in small. It features 150 hand-built figures and animations and 22 operating trains. Admission rates are also very favorable - $7.00 for adults (12 and up) and $4.00 for kids (3 to 11). There are also discounts for groups. The Barn is open daily from 10:00AM until 5:00PM and closed on major holidays.